A lens treatment is a special additive that either bonds with the lens, or is built into the lens during the lens manufacturing process. Lens treatments are available at our clinic as individual additions to lenses, and are also commonly bundled into single lens products for convenience and maximum benefit to your eyes. 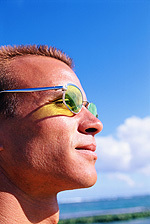 Also ask about Transitions Lenses!